A colourful collection of Germinis fit for any lucky recipient. Our experienced Spanish florist team take the time to select each and every stem to ensure absolute perfection. We have also added some subtle foliage to help the bright colours of these fine blooms stand out even more! 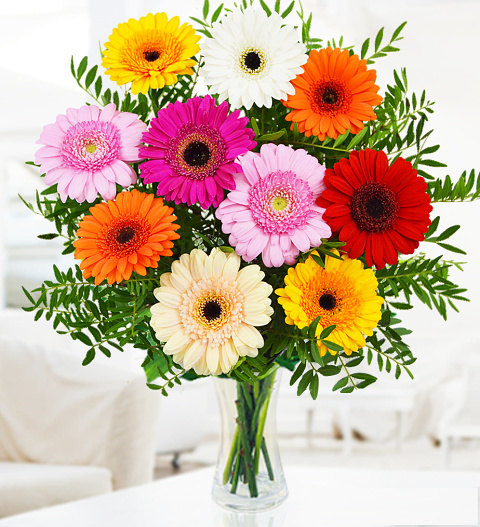 Great for birthdays, anniversaries, and any other occasion, this bouquet is available for next day delivery in Spain.